Description and Similar Species: Wingspan 88-110mm. Sexes similar. 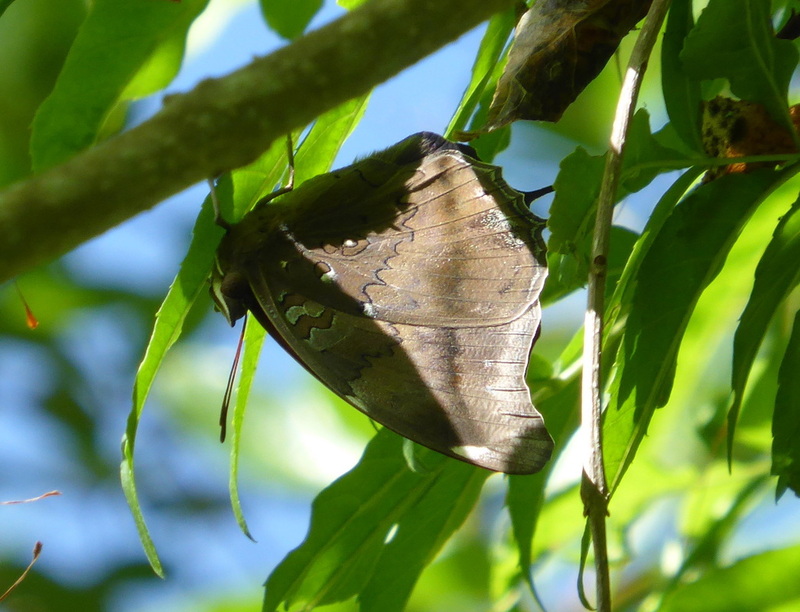 Only likely to be confused with Stinky Leafwing Historis odius which is larger, and lacks the tails on the hindwings and the white spots on the forewings. 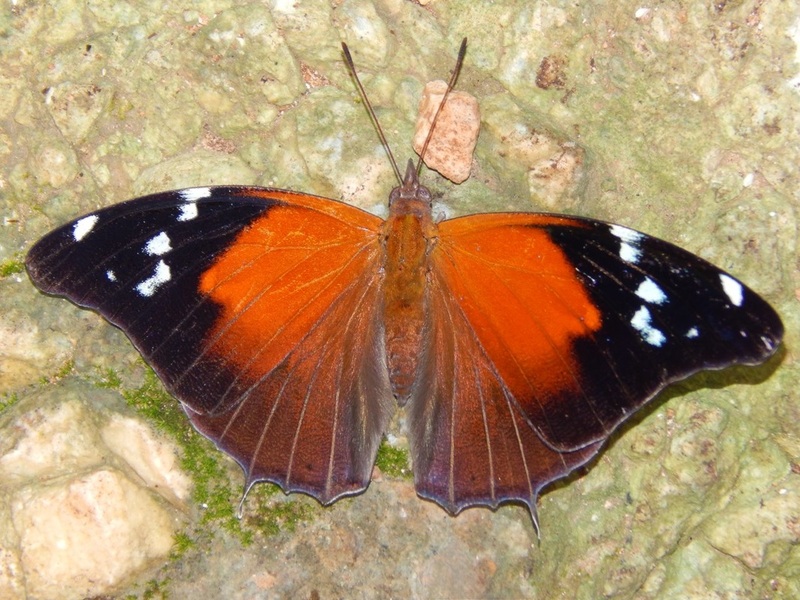 On H. odius the orange patch on the upperwing is more extensive and slightly less bright. 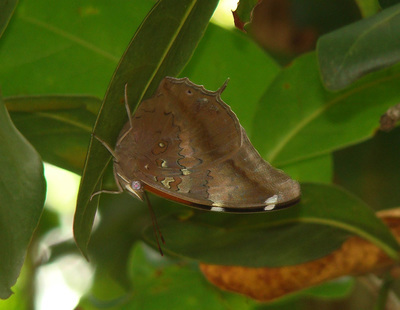 Like H. odius the underside resembles a dead leaf and they often settle face down on the leaves or trunks of trees, or on the underside of branches. Range: Found from Southern USA to Argentina including many of the Caribbean islands. Status: Widespread but not common in forested areas. Nectar Plants: Feeds on rotten fruit and is not known to nectar at flowers. It is known to take moisture from tree trunks and on the ground. Larval Foodplants: Unknown in Cuba but in El Salvador a larva was found on Cecropia mexicana (Muyshondt 1979), and in Cuba it has been suggested that the foodplant might be Syzygium jambos as the adults are often seen on these trees (Hernández).